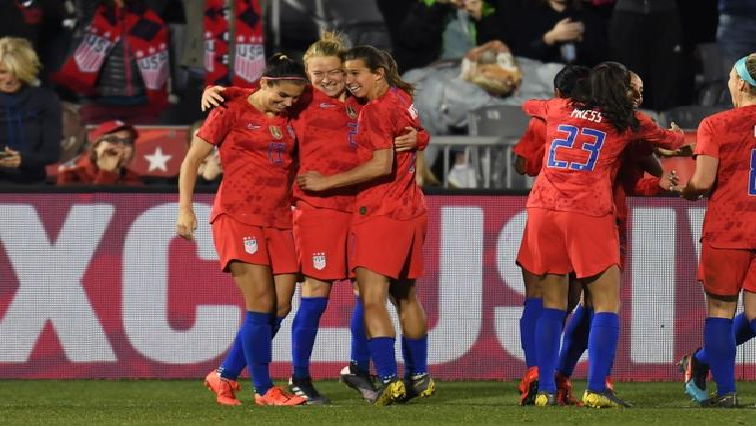 Forward Alex Morgan reached a personal milestone with her 100th international goal as the United States beat Australia 5-3 in a friendly soccer match in Colorado on Thursday. In opening the scoring in the 15th minute with a superb solo run capped by a precise finish, Morgan became the seventh American woman, 17th from any country, to reach the century mark. It was far from smooth sailing for the reigning World Cup champions, who fell behind Australia early in the second half in front of a sell-out crowd in suburban Denver. The home team, however, scored three times in 14-minutes to regain the lead for good in an entertaining encounter between two of the favourites heading into World Cup in France in June. Local favourite Mallory Pugh made it 4-2 by scoring less than a minute after coming on, before adding a second with a deft dink over the keeper in the final minute of stoppage time to seal the result. Earlier, Australia equalised on the half hour when pacy veteran winger Lisa De Vanna fired home. Caitlin Foord gave Australia the lead early in the second half, before Tobin Heath and Megan Rapinoe put the US ahead again. Samantha Kerr scored with a thumping header in the 82nd minute to give Australia some hope, but the visitors could not find an equaliser. “We can’t let that many goals in … but they’re a great attacking team so you’ve got to give them credit,” said veteran Rapinoe after her 150th appearance for the US. The post Morgan scores 100th international goal as US beat Australia appeared first on SABC News – Breaking news, special reports, world, business, sport coverage of all South African current events. Africa's news leader..